“Marc Jacobs: One Night Only!” read the light box above the Ziegfeld theatre, the location of Marc Jacobs fashion show and the cinema where he, growing up in New York, saw so many movies. And oh boy, did Marc treat us to a special night out. 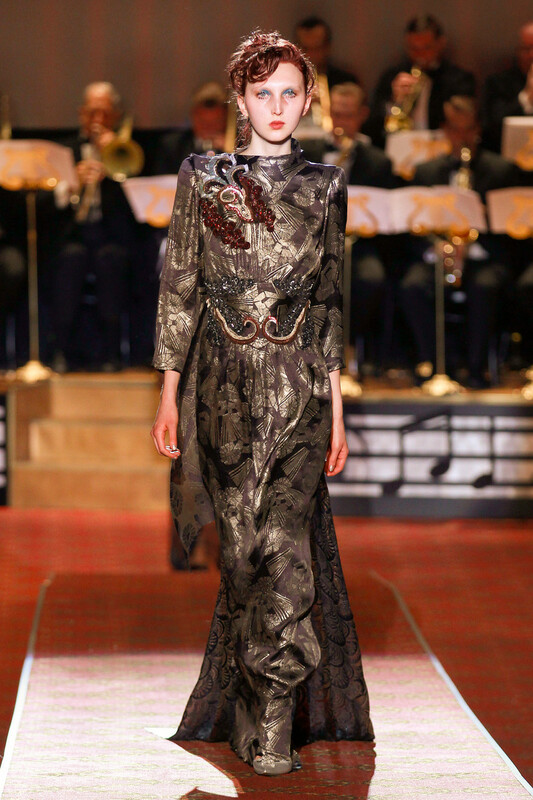 As the stars of the evening, models acting as celebrities (even though they sometimes actually are in real life, hello Kendall Jenner) strutted the red carpet and posed in front of the Marc Jacobs photo wall we were escorted to our seats where we could watch them make their entrance. 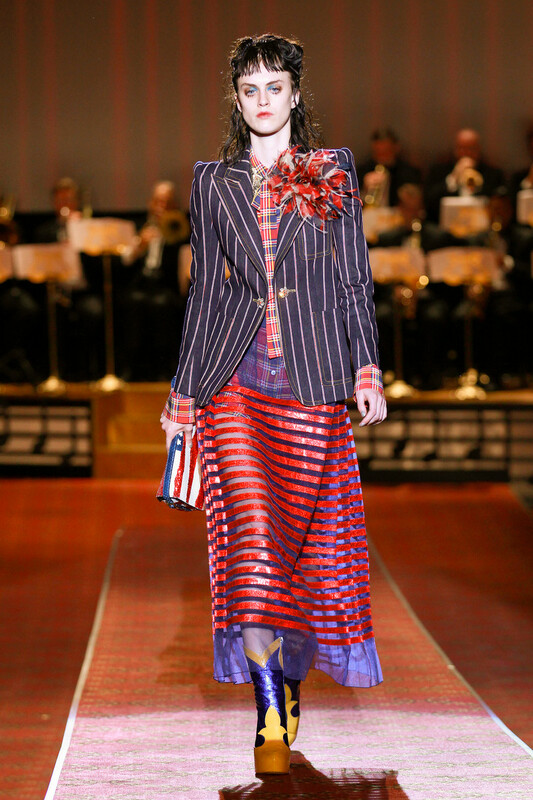 A live band played the New York Dolls’s 1973 song “Trash.” as Natalie Westling, dressed in an asymmetric raffia skirt and blue sweater, kicked off the fashion show. 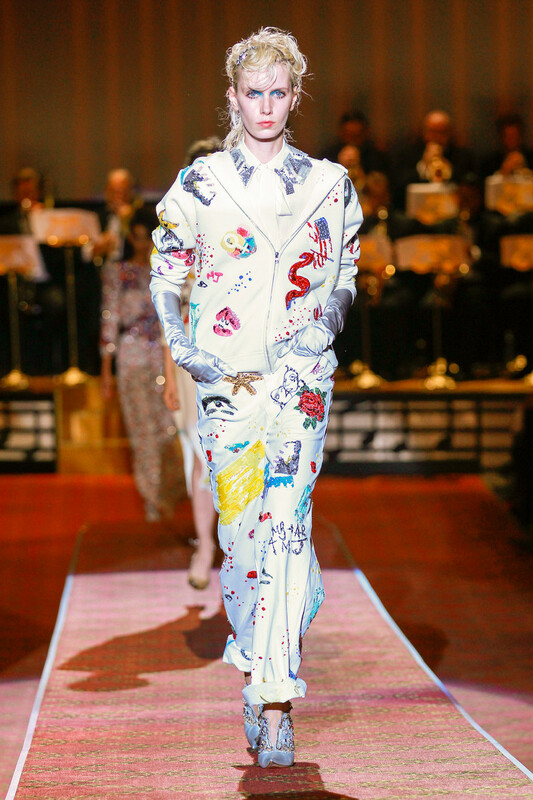 Clothes ranged from full on sequined and sheer party wear to sportive baseball jackets and striped sweaters. 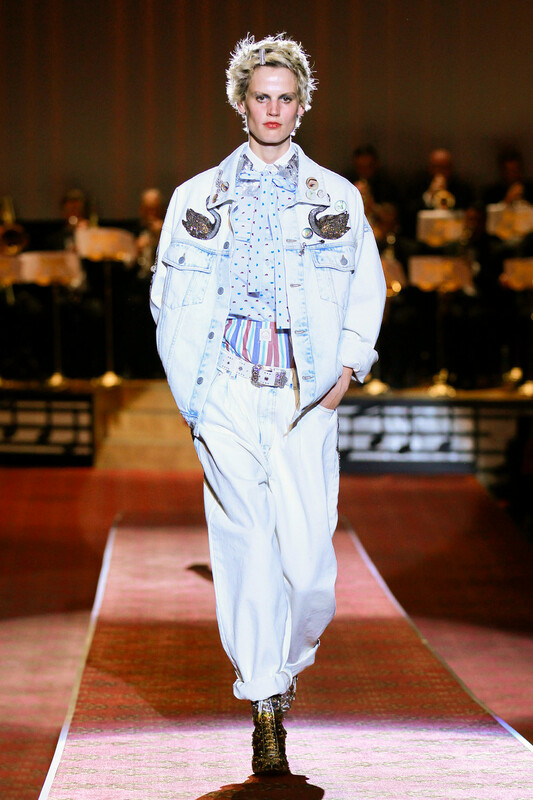 From denim on denim (as seen on Saskia de Brauw) to rock chick gone bridal (the final look). 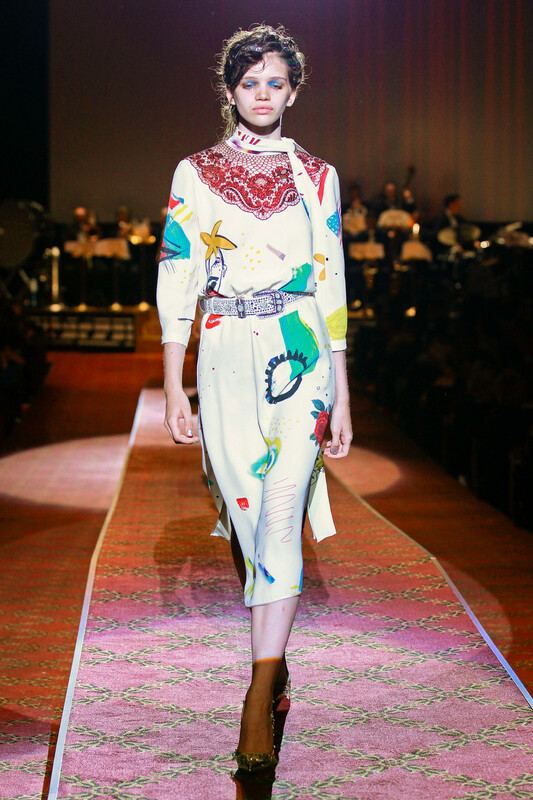 Stripes, stars, checks and prints of painted faces emphasized the theatre theme. Yet it was a bit back and forth with style, silhouette and color palette. Not to mention Marc’s selection of models was a bit out of the ordinary (hello Beth Ditto). 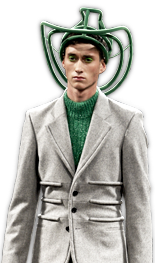 Marcs SS2016 vision was hard to grasp in the short time frame of the show. 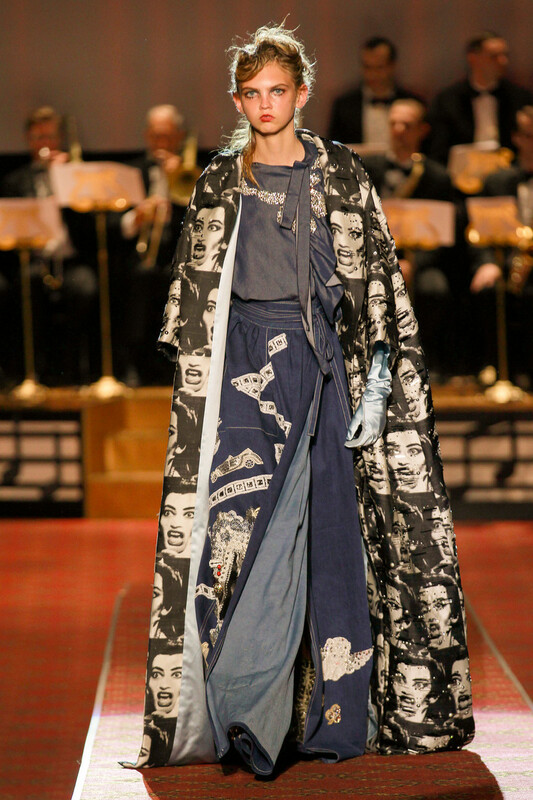 The elegance and refinement of Marc Jacobs were still there. 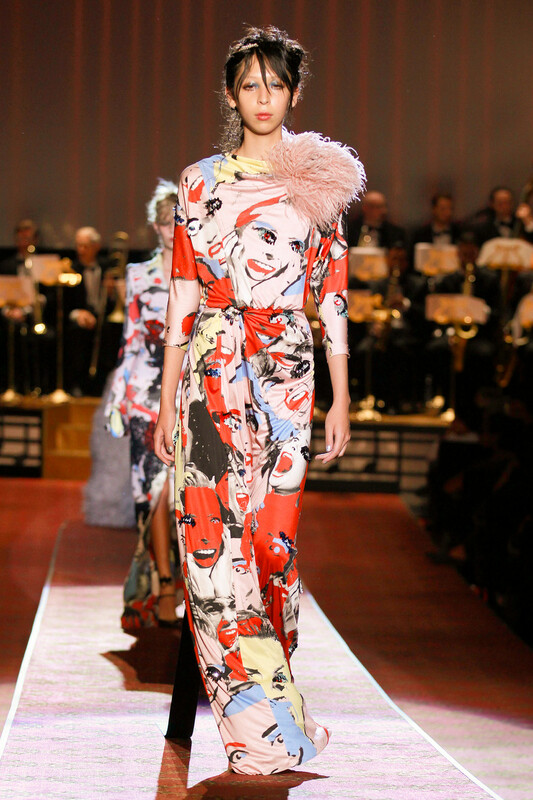 Yet looks were given a more playful Marc by Marc Jacobs touch. 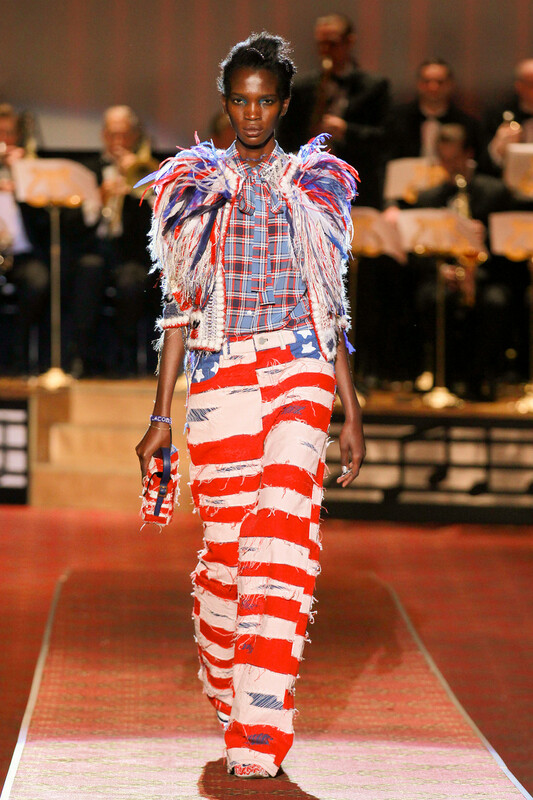 As if the designers discontinued fashion line and it’s bigger sister had merged. Presenting us with the best of both MJ worlds.